Inauspiciously situated (and advertised) as being next to Burger King and above Perfect Chicken, Chilli & Spice is a restaurant which knows about proper heat when it comes to Indian dishes. You will find no such worries at Chilli & Spice because the chef clearly knows how much heat dishes really should have. First up a King Prawn Dhansak (£9.50). Most of us know that this lentil-laden Persian dish should have sweet and sour tastes (tamarind and sugar usually does the trick). But there is a third leg to dhansak dishes and that is… hot. Prawns and lentils absorb heat fantastically and the chef here certainly knows how to use them perfectly to create all three tastes. Spot on. And when it came to the Keema Vindaloo (£5.25) the chef certainly didn’t pop his head around the door. This was a proper vindaloo, with the mince lamb so drenched in spice it led to sharp intakes of breath. When was the last time a vindaloo made you do that? PS. Try to get your hands on a takeaway menu leaflet before you visit as it includes a 25 per cent discount on food for diners. 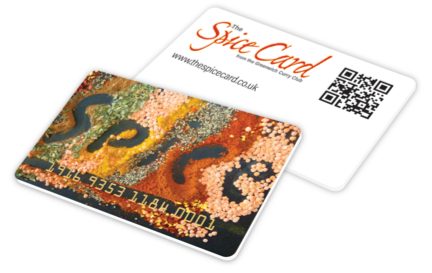 Chilli & Spice, 1st Floor, 10 St Mary’s Butts, Reading, Berkshire RG1 2LN. Tel: 0118 956 7080. Open: Mon-Thur 6pm-11.30pm, Fri-Sat 6pm-00.30am. Sun closed. E-mail: info@chilli-and-spice.co.uk.